The fantastic versatility of skid steers has led to their use in numerous applications across a broad spectrum of industries. Because of this, skid steer tires are now offered in different constructions and a wide variety of patterns. 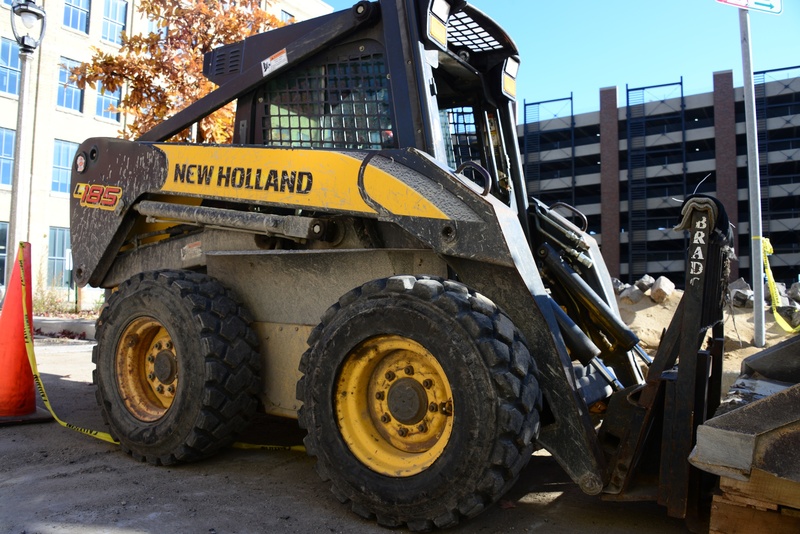 One of the best steps you can take to maximize the productivity of your skid steer—and your entire operation—is to make sure your machine is equipped with a tire designed to handle the terrain where it will operate and the tasks it will be asked to perform. Keep reading to learn how to choose your next skid steer tire by application. Working on demolition sites, metal scrapyards, and glass recycling plants are some of the toughest jobs asked of a skid steer, because of the constant threat of puncture and the day-in, day-out grinding on hard surfaces. Because of this, solids, like our Galaxy Hulk SDS, are the go-to tire choice for standing up to such demanding work. Solid tires resist punctures, which minimizes downtime. Additionally, solid tires last up to three times longer than their pneumatic counterparts and require less service, all of which helps them keep businesses running efficiently and deliver an outstanding total cost of ownership (TCO). Severe duty pneumatics are typically built using a heavier-duty rubber compound and feature more rubber, stronger sidewalls, and greater tread depth than standard pneumatic tires. Skid steers working in waste handling and recycling, or on hard surfaces such as road maintenance and industrial use, will benefit from the increased resistance to cutting and chipping offered by a severe duty pneumatic tire that still delivers a softer ride than solids. Severe duty pneumatics, such as our Primex Bossman Grip, are an excellent choice for maximizing uptime—and tire life—in applications where a solid tire is not an attractive option. For machines that will be asked to do a variety of jobs, on all types of surfaces, and work long hours, there are heavy duty pneumatics. Heavy duty pneumatics like our Galaxy Beefy Baby II & III feature bead guards and strong sidewalls for protection from cuts and a longer lifespan. Both of our Beefy Babies also feature tread patterns that promote even wear on hard surfaces but deliver maximum traction when working in soft or loose terrain, making them a great choice for everything from road construction to snow removal. Their versatility also makes them a popular OE tire and a favorite of rental companies. Standard duty pneumatic tires provide a cost-effective option for skid steers operating in light-to-medium-duty applications where one machine will be tasked with handling multiple jobs. Standard duty pneumatics, such as our Galaxy Skiddo, offer superb value and are the perfect choice for working on hard surfaces. Standard duty pneumatics are ideal for landscapers moving materials around projects, or for use transporting building supplies around construction sites where puncture protection isn’t a concern. Standard duty pneumatics are equally at home on loose and variable surfaces, like those found when shuttling grain or manure around the farm. The tires on your skid steer will go a long way to determine the efficiency and productivity of your machine, and ensuring your skid steer is equipped with an application-specific tire can help all types of operations reap huge rewards. To learn more about our Galaxy line of application-specific tires, call your local ATG dealer or contact an ATG representative today!